Meatloaf Tacos is a fun and easy recipe and a great way to use up leftover meatloaf. You can use leftover beef, pork, chicken, or turkey meatloaf in this recipe. And remember that you can season it any way you'd like. This is a mild taco recipe. For more heat, add some chopped green chiles or some minced jalapeno peppers, some more chili powder, or cayenne pepper or crushed red pepper flakes. Or use a spicy salsa in place of the tomato sauce in the meatloaf part of the recipe, or use Pepper Jack cheese in place of the Cheddar cheese. 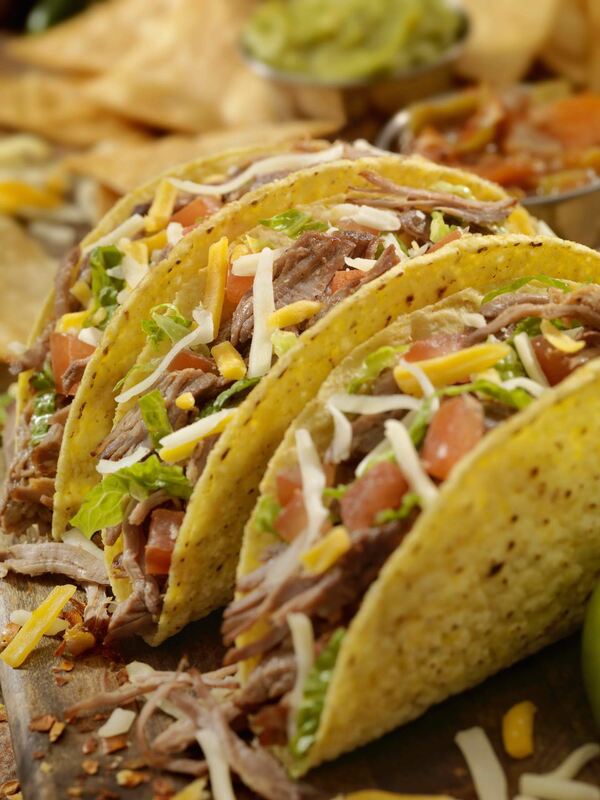 You can also add other toppings to these tacos. I like adding chopped or sliced avocados if I have any ripe ones around, or add some chopped tomatoes. Serve these tacos with a fruit salad and some iced tea or sparkling water. These tacos are really a meal in one, so you don't need anything else! In a large skillet, heat the olive oil over medium heat. Add the onion. Sauté and stir until tender, about 5 to 6 minutes. Stir in the refried beans and cook for 3 minutes. Add the crumbled meatloaf, chili powder, and tomato sauce; simmer for 10 minutes. Heat the taco shells as directed on the package until crisp and hot. Let the diners make tacos with the hot meatloaf mixture, cheese, lettuce, salsa, and sour cream. Serve immediately.